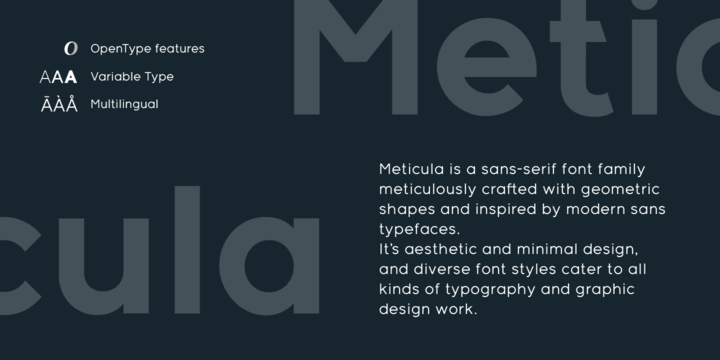 Meticula is a sans-serif font family meticulously crafted with geometric shapes and inspired by modern sans typefaces. 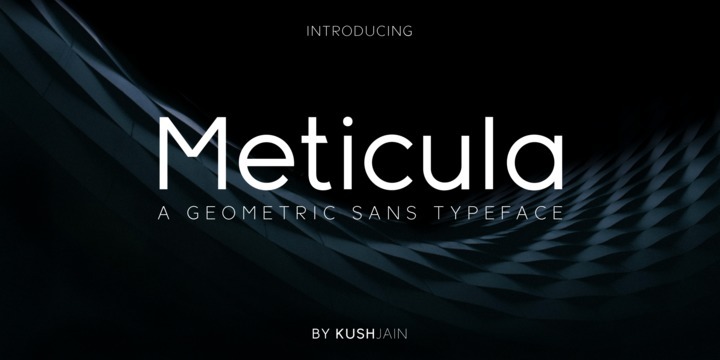 Comes with 8 uprights and an outline font with italic counterparts. 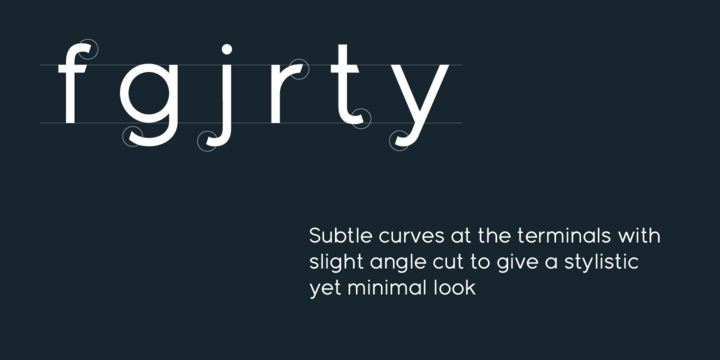 It’s aesthetic, minimal design and diverse font styles cater to all kinds of typography and graphic design work. 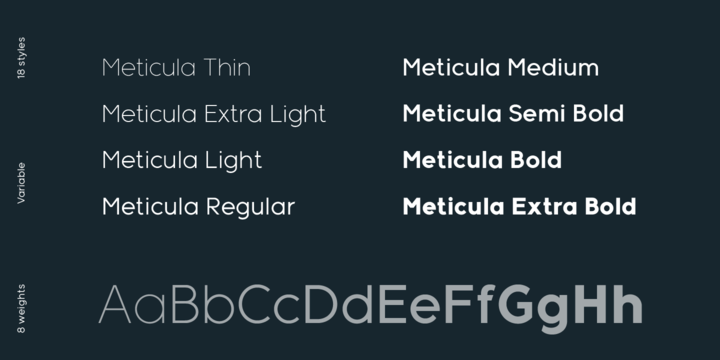 Supports major Latin based languages, advanced open type features, full set of ligatures, punctuation and major currency symbols. This is demo version, free for personal use only.